The only GWR train service that operates in East Devon these days is the Avocet Line between Exeter and Exmouth. It’s still known as GWR country though, not because of the railway, but because of its appeal to the older generation. In my younger days I was happy to leave ‘God’s Waiting Room’ to the older generation, but as I get older myself, I’m finding that I’m visiting East Devon more than I care to admit. Stretching from Exeter to Dorset, a large portion of the district is covered by protected status in the form of the East Devon Area of Outstanding Natural Beauty (AONB), the Blackdown Hills AONB, and the Jurassic Coast World Heritage Site. What all this means of course is that there’s very little urbanisation, and what there is, is hardly intrusive on the landscape. There are a number of Georgian seaside towns along the coast, the largest (and most lively) being Exmouth. 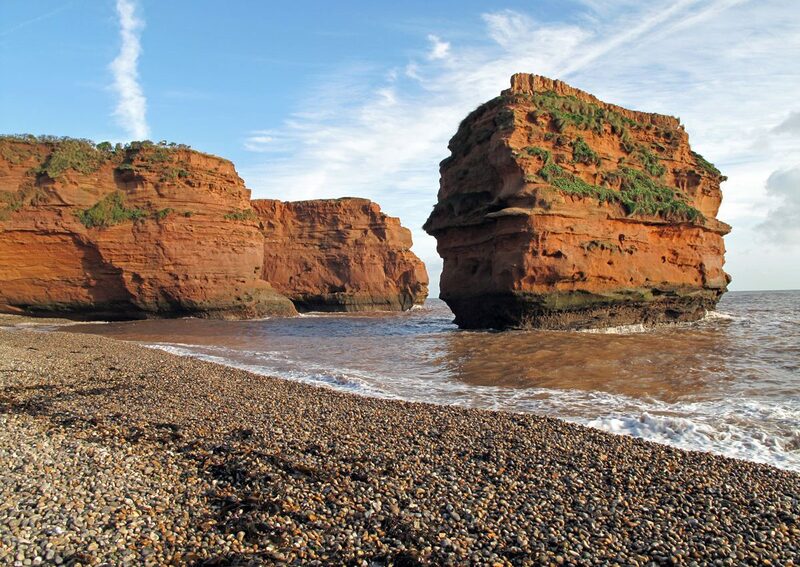 Sidmouth is the home of the East Devon District Council and has a genuine appeal, even if you don’t want to come to the popular Folk Festival. Inland, Honiton is famous for its lace, Axminster for its carpets and Ottery St Mary for its Tar Barrel tradition, but on the whole East Devon is a tranquil, slumbering sort of area, which seems more appealing to me as each year passes by.